Last night was the first public council meeting for a little over a month; the agenda was full. Over the next few days, I’ll be posting about the items that were covered at the first Langley City council meeting of 2019. Redevelopment is continuing to occur at an accelerated pace in our community. There were two re-zoning and development permit bylaws that were given first and second reading. This will allow for a public hearing to be scheduled about these two applications. 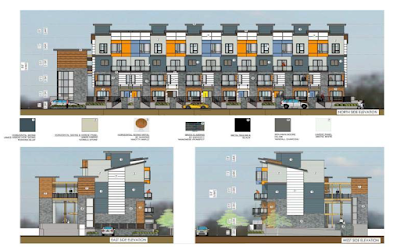 The first re-zoning and development permit application will accommodate at 5-storey, 104-unit apartment building located in the 199A Street cul-de-sac off Brydon Crescent. 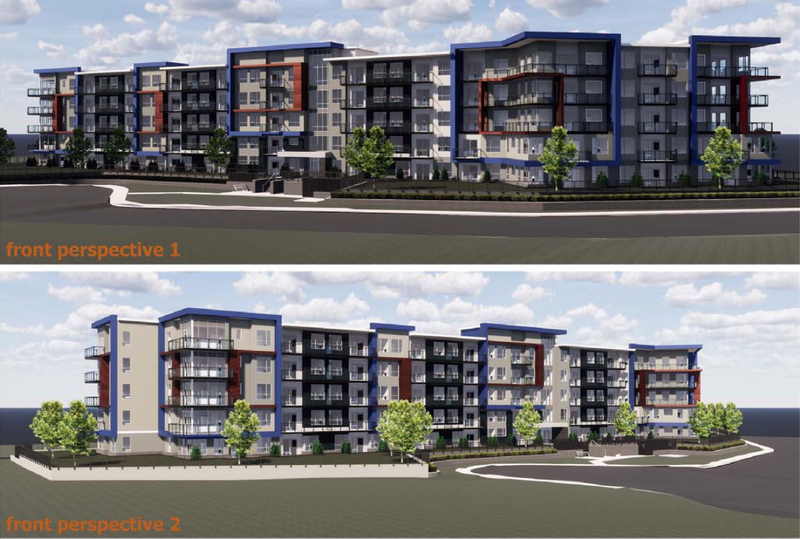 The proposed project would be the final re-development occurring in that cul-dec-sac as over the last year another apartment building and two townhouse complexes were approved. Site plan of proposed apartment project at 5470, 5480, 5490, 5500, 5510 199A Street. Select image to enlarge. There are two items from this proposed project that I wanted to highlight. If approved, the developer will contribute $200,000 towards the Baldi Creek Pedestrian/Cycling Bridge project which will connect Brydon Crescent with the trail that runs between Michaud Crescent and 53rd Avenue. Another developer contributed $200,000 to support this bridge in late 2018. The other item is that all parking access will be off the alley to the east of 199A Street. 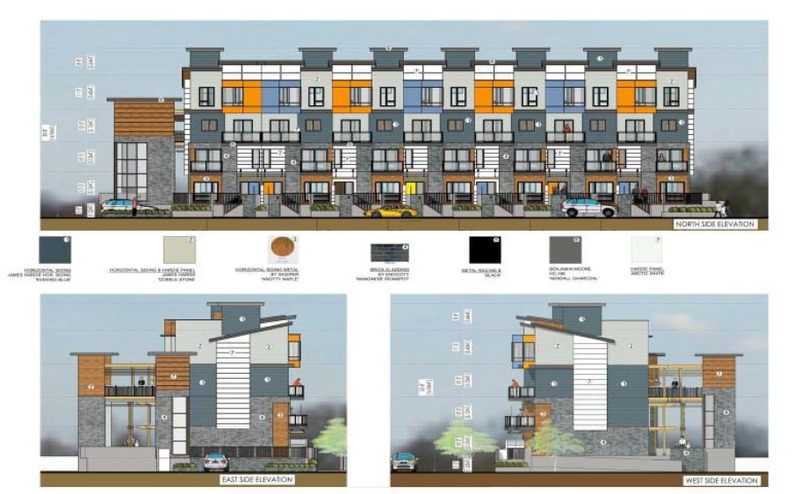 The second proposed project is for a stacked townhouse complex which is something that hasn’t been done in Langley City before. This 4-storey, 14-unit project would have 7-units on the first/second floor and 7-units on the third/fourth floor. The project is also proposed to have underground parking. The property location is at the corner of 201A Street and 53A Avenue. Council also gave first and second reading for a proposed discharge of a land-use contract for 5139 209A Street. If approved, this would permit an addition to be built onto the current house on that property. Tomorrow, I will continue to be posting about the remaining items cover at last night’s meeting.